APRIL 17, 2018: Woodridge Aftercare had an incredible event to recognize scholars for all of their hard work entitled Friendship Cares Scholar Achievement. Scholars in Preschool and Kindergarten were celebrated for their behavior and participation. In grades 1st thru 6th, scholars were recognized for their grades with a G.P.A. of 3.0 or better. Ms. Ashley Jones, Woodridge’s Aftercare Coordinator, said that she wanted to do something special because all of the students had been doing so well in school. The event was held in the cafeteria, but you would have thought that it was at a lavish hotel ballroom. The place was decorated in pastel spring colors such as baby blue, light green, pink, yellow, and lavender. There was a large turnout of parents anxiously awaiting to hear the winners’ names called. Who would be crowned King and Queen. The names were finally announced in three separate categories based on grade levels. 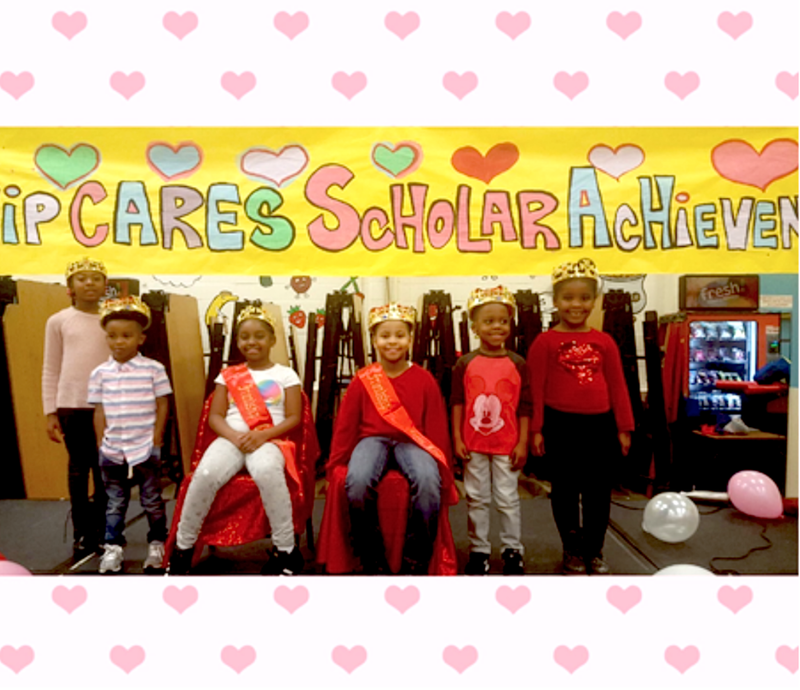 The 2018 Friendship Cares Princesses and Princes: Haiden Young, Kindergarten (Behavior Incentive) and Aleea Edley-Leach, Preschool/Prek (Behavior Incentive). The King and Queen 1st and 2nd grade: Gary Bynum (4.0 G.P.A. 1st Grade) and Nevaeh Thomas (3.8 G.P.A. 1st Grade). Finally, the King and Queen 3rd thru 6th grade went to Jeremiah Milton (3rd Grade 4.0 G.P.A.) and Jayla Blades (3rd Grade 3.8 G.P.A.). It was a fantastic evening of celebration. Ms. Jones stated at the end of the program, “Just wait until next year. It’s going to be even bigger and better!” I know the scholars and their families will all be looking forward to that moment again. Braylon Wims is a 7th grade scholar at Friendship Woodridge Academy.